To me chocolate is my favorite food: VINTAGE Plantations - Norrland's first chocolate factory by Jenny Berg! VINTAGE Plantations - Norrland's first chocolate factory by Jenny Berg! "Now it is finally here, my Norrländska chocolate, Plantations! A vintage chocolate where each harvest follows the natural nuances and flavor of the cocoa ". Jenny Berg, Norrland chocolate entrepreneur launched last year its own bean to bar chocolate, made on the spot at home in Umeå. Jenny cooperating since 2008 with cooperatives in Ecuador (Nacional Cacao) and Peru (Criollocacao). They supply cocoa beans where together they adapted the fermentation process for precisely this unique chocolate. During production in Sweden added only raw sugar and Norrländska berries. The chocolate is fair to both farmers and consumers. Vintage Plantations therefore undergo a gentle manufacturing process from bean to chocolate bar. Growers receive fair pay and training among other fermentation. The packaging is environmentally friendly and designed by an artist who painted the Jennys own photos of cocoa plantation. 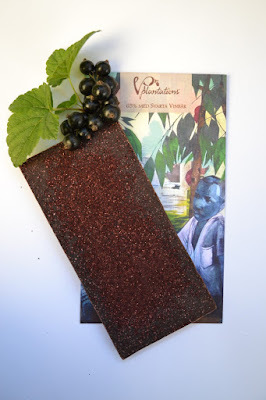 Vintage Plantations is type stoneground cacao and therefore has a coarser texture than traditional quality chocolate. The chocolate bars are available in cocoa contents of 65%, 75%, 85% and 100%. The flavored chocolate bars; Licorice, black currants, cranberries, Angelica and sweetened with raw cane sugar Each contains 90 grams. "I think all of us who like chocolate (and we are quite a few), can make the world better by choosing a chocolate that is good for us and also do good for the earth and the people who cultivated cocoa" . Jenny Berg. Jenny has been Chocolate Jenny since 1993, when she went to England for a summer job at the chocolate factory John Bull. This factory visit, she still needed to update themselves on the latest in chocolate - and truffle production. 2006 Jenny met a Frenchman named Pierrick Chouard and the relationship to the cocoa was changed forever. He informed Jenny about the different cocoa varieties and the Indian life with the Arriba bean and magic behind the bean to bar production. Along with Martin Jorgensen from Scand Choco visited Jenny cocoa plantation in Ecuador during the summer of 2008. In the same year found Jenny even his own cocoa cooperatives to cooperate with Peru. Since then, several relationships with growers in South America and the Caribbean reprocessed and continuous development. Jenny travels to Ecuador with Ecuador's embassy in June 2016 to begin new exciting new cocoa projects. Het originele persbericht kan je hier vinden: VINTAGE PLANTATIONS - Norrlands första chokladfabrik by Jenny Berg! 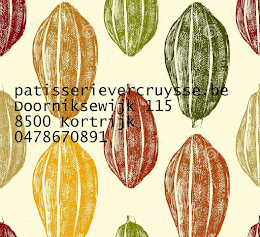 Met dank aan Ann-Sofie Malmgren die mij deze chocolade heeft toegezonden. Chocolate reflects the origin of the cocoa beans. Happy rabbit, Chicken egg & coloured chicken. Chchukululu, dit moet Ecuador zijn.